xxxx SeaRay 310 Sundancer--$67,500--Low Hours (210) and Excellent Condition, Westerbeke Generator, Raytheon GPS and Chartplotter, Twin Mercruiser Engines, Camper Canvas full enclosure, Rod Holders, TV & CD Players, Mechanic Maintained. Call 410-757-xxxx or 410-533-xxxx.Will negotiate for: dinghy and motor -- and the new folding bikes that add to your cruising pleasure. Year-round boating with heat and air conditioning. 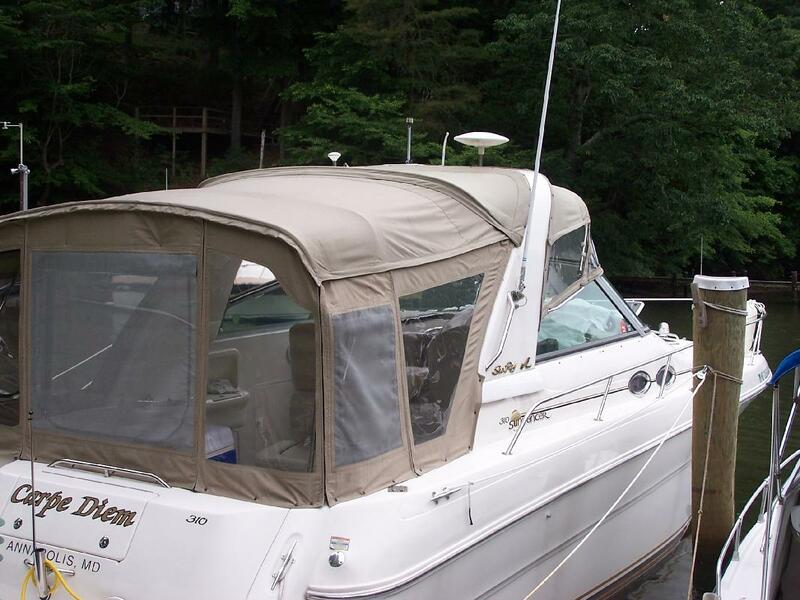 xxxx SeaRay 310 Sundancer--$67,500--Low Hours (210) and Excellent Condition, Westerbeke Generator, Raytheon GPS and Chartplotter, Twin Mercruiser Engines, Camper Canvas full enclosure, Rod Holders, TV & CD Players, Mechanic Maintained. Call 410-757-xxxx or 410-533-xxxx. Will negotiate for: dinghy and motor -- and the new folding bikes that add to your cruising pleasure. Year-round boating with heat and air conditioning.